Screen printed and back in stock! 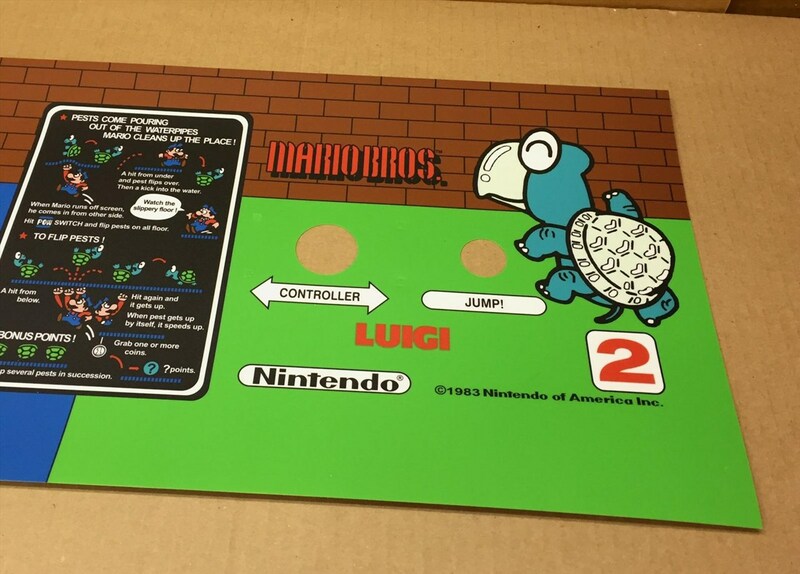 Reproduction Nintendo Mario Bros. upright arcade game control panel overlay. 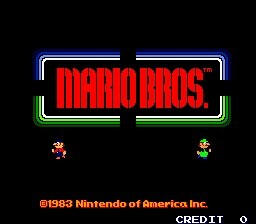 This overlay is for the dedicated widebody Mario Bros. upright arcade game. 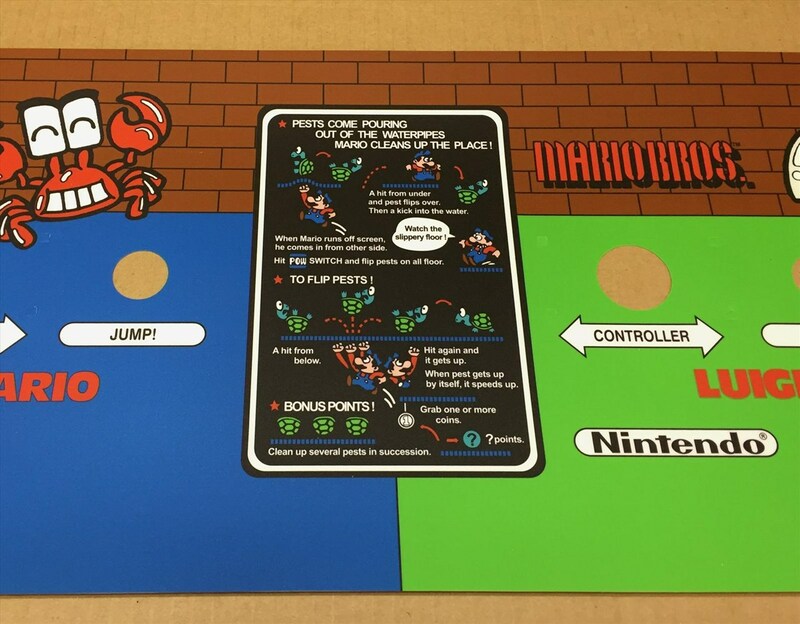 The dedicated panel measures 26.25" wide and will not fit on a Donkey Kong conversion style panel. The overlay measures 26 1/4" x 11 1/8". 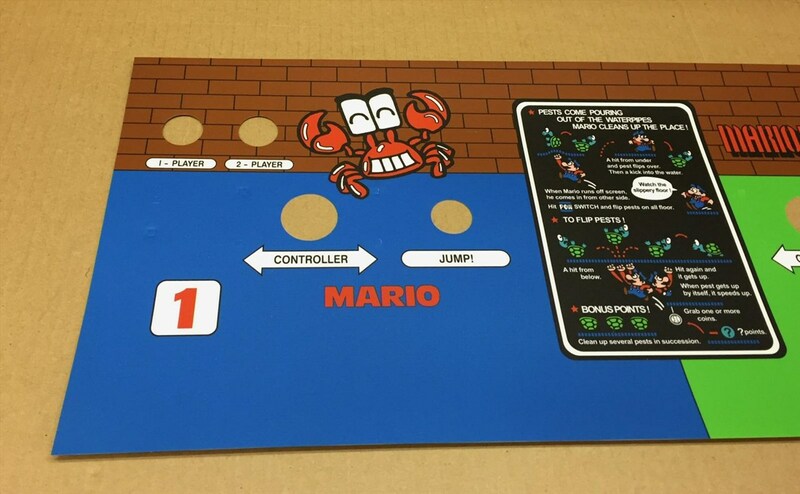 This overlay is screen printed on 7 mil lexan, die cut for the joystick, button and bolt holes and color matched to a new old stock control panel we obtained. 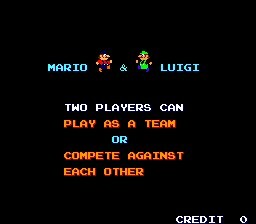 Related Game Title Mario Bros.
Nintendo did not release a ton of “classic” games, but most of the games the company did release were a bit successful. 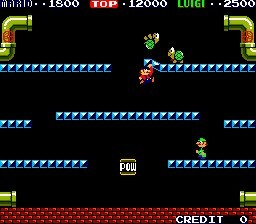 Mario Bros. falls into that category, the game features Mario (and Luigi) from Donkey Kong fame in a platform game. The game’s original cabinet is known as “wide-body” as it is a few inches wider than most cabinets. The design allows more room for two players to play co-operatively.